Jake Spurlock/FlickrParents spend $US500 billion on their adult children, according to a Merrill Lynch report. 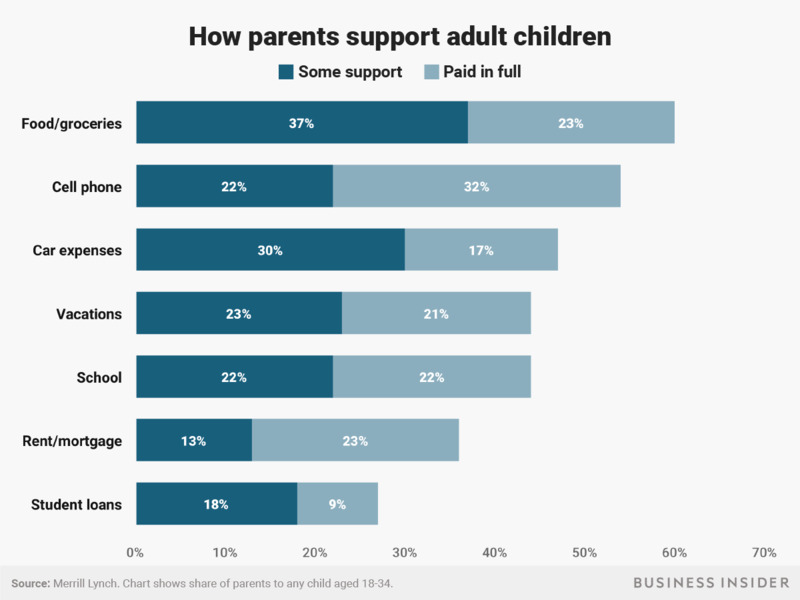 Many parents see adulthood as the most expensive stage of parenting, according to a new Merrill Lynch report – 79% provide financial support to their adult children, contributing to $US500 billion spent annually. That’s twice the amount parents save for retirement – one of many financial sacrifices they make to financially support their children. Parents spend money on both necessities, like rent, and luxuries, like vacations, for their children. However, this financial support may make parents financially reliant on their children down the road. The average cost of raising a child until age 18 today is more than $US230,000 – but that number only gets higher when children leave the nest. 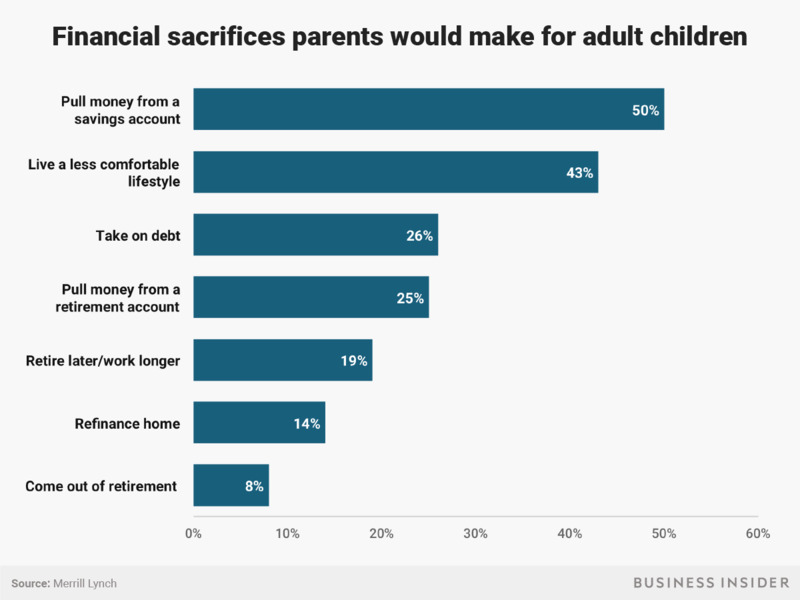 In fact, many parents consider it to be the most expensive stage of parenting, according to Merrill Lynch’s new “The Financial Journey of Modern Parenting: Joy, Complexity, and Sacrifice” report. The bank surveyed more than 2,500 American parents and found that 79% of parents continue to provide financial support to their adult children – contributing to an estimated $US500 billion annually. That’s twice the amount they save for retirement – $US250 billion annually – according to the report. There are 173 million parents in the US, according to Merrill Lynch. “When emotions and money become intertwined, parents risk making financial decisions that can compromise their financial futures,” states the report. Seventy-two per cent of parents revealed they put their children’s interests ahead of their own need to save for retirement. 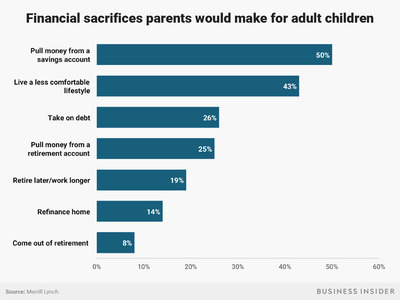 On top of that, 63% of parents reported sacrificing their own financial security for their children’s sake. Specifically, Asian, Latino, and African American parents are more likely to give up financial security for their children, the report found. Andy Kiersz/Business InsiderMany parents surveyed would make various financial sacrifices for their adult children. Half of survey respondents would pull money from their savings account, while a quarter would take on debt or take money from their retirement fund. Slightly less than 20% would wait to retire, while a small percentage would come out of retirement if it meant helping their children. So what exactly are parents paying for? The answer is both big and small, with parents covering necessities, like rent or mortgage, as well as luxuries, like vacations. Of the $US500 billion total amount parents are spending on adult children, college education comprises about one-fourth, according to the report; groceries and food cost $US54 billion annually and cell phone service costs $US18 billion, with many parents covering the full cost, not just handing over a few dollars. But that total doesn’t count big-ticket items – about 60% of parents help pay for their adult child’s wedding and 25% help pay for their child’s first home. 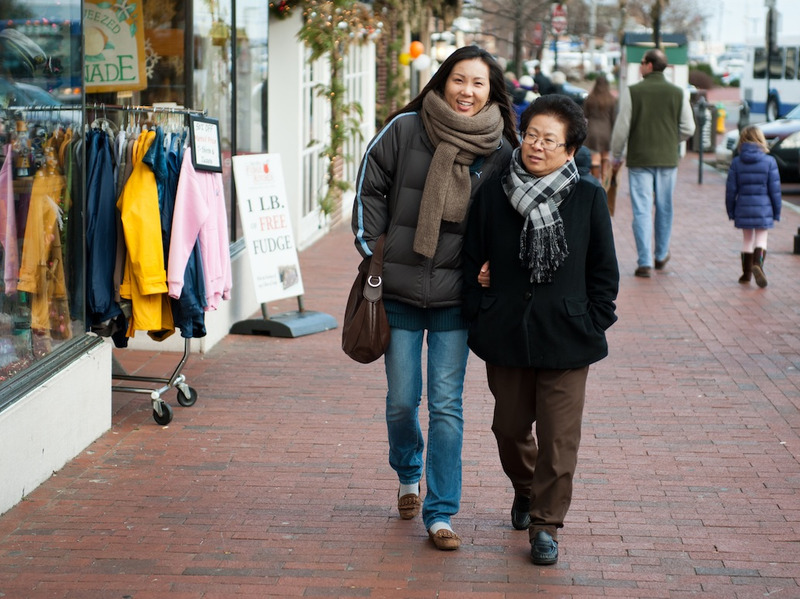 Asian parents are most likely to provide financial support for their adult children, especially when it comes to education expenses, according to the report. Andy Kiersz/Business InsiderParents support their adult children with necessities — like rent or mortgage — and luxuries — like vacations. “These financial contributions add up, and many parents aren’t aware of how much they’re spending on their adult children,” states the report. But financial support also comes in the form of providing a place to live. According to the report, 31% of early adults aged 13 to 34 live with their parents – a 50% increase from 1960 and a higher percentage than those in the same age range who live with a spouse. “Compared to all I’m spending on my two adult children’s upkeep, having them boomerang back and live at home would be relatively inexpensive,” one focus group participant said. Merrill Lynch’s findings align with similar findings by the Country Financial Security Index, which found that more than half of American millennials have received financial assistance from a parent, guardian, or family member since turning 21,Business Insider previously reported. About 37% receive money monthly, and more than half (59%) receive money a couple times a year. The Index also found that Americans leave the nest later in life than they used to. 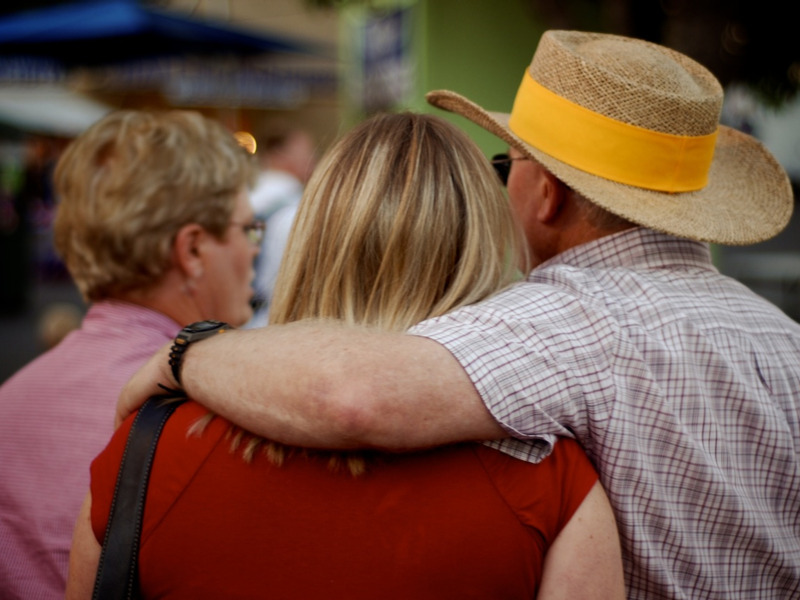 But while millennials rely on their parents for money, many parents also begin to rely on their adult children for advice and emotional support, according to the report. Flickr / bigbirdzMaking financial sacrifices for their children may mean parents will financially rely on their children down the road. The report also poses an important question – by sacrificing their own financial safety, are parents increasing the likelihood that they will rely on their children financially down the road? Almost 50% of respondents regret not creating clearer boundaries with their kids about the financial support they are willing to provide.